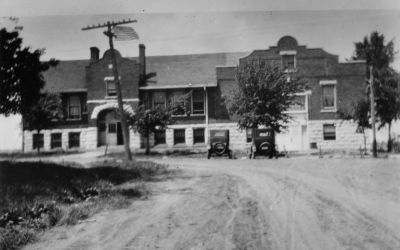 Above: The Bushong State Bank taken sometime in the late 'teens'. 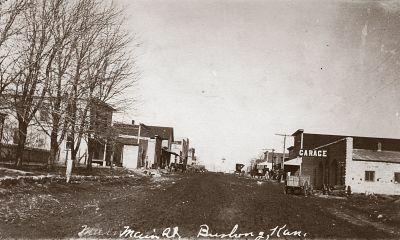 Left: A photo of downtown Bushong, also in the late teens. 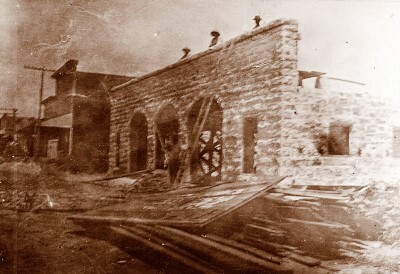 This photo shows the garage being built in 1915 for E. A. Pykiet. 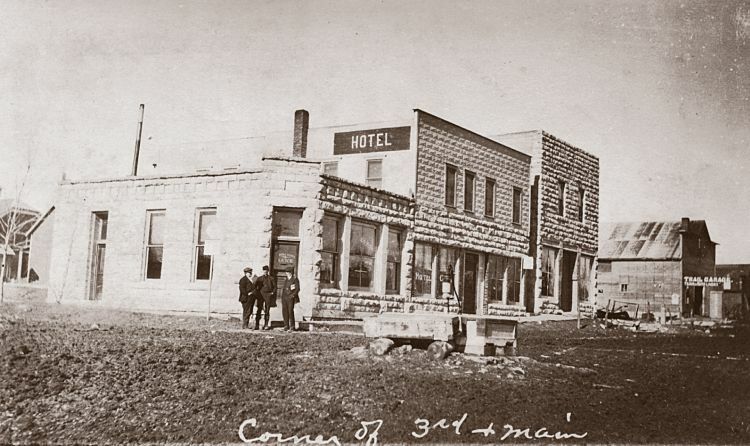 This photo, and the two above, was provided by his grandson, Glen, who said there are plans to restore both the bank and the garage over the next couple years.